From the masterful Tom Watson to swashbuckling Seve Ballesteros, The Open Championship has witnessed countless victories over the years. Ahead of this year's tournament we've teamed up with BOSS, Official Outfitters of The Open, to take a look at some of the most memorable winners in history. Could another surprise be on the cards? The Open Championship is one of the toughest tests in golf, but it's also one of the most unpredictable – we've seen in-form players reduced to rubble and rank outsiders soar to the highest heights in the sports. In preparation for this year's Open at Carnoustie, we've delved into the archives to uncover some of the most memorable (and unlikely) winners in the last 25 years. Who's to say what this year's tournament has in store? OK, John Daly won a major at the 1991 PGA Championship, but did anyone really actually think that he’d win another big one by the time 1995 rolled around? 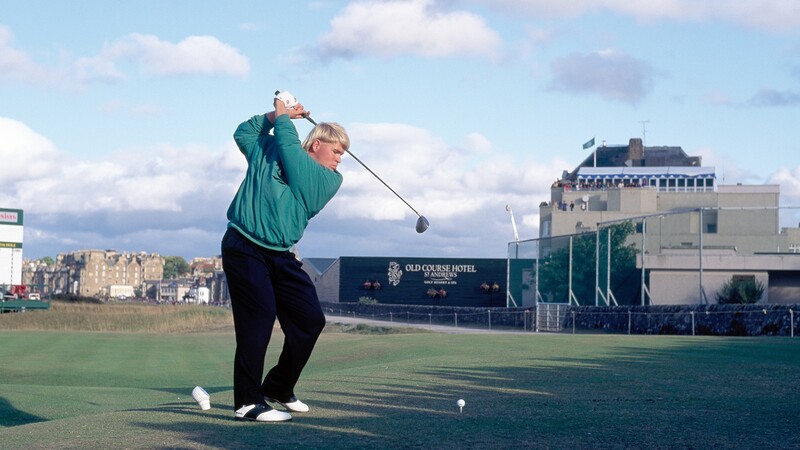 Daly arrived at the Old Course in stinking form. He hadn’t recorded a top-ten finish in his previous 26 starts, and missed the cut in 11 of them. He was also fighting a losing battle with the demon drink and the even more demonic doughnut. But if any course on the Open rota was designed for the Wild Thing’s ‘grip it and rip it’ style, the Old Course was it. With a fag in one hand and a driver in the other, Daly duly proceeded to smash it to all corners of the course, but holed enough putts to enjoy a share of the lead at the halfway mark. Many thought it couldn’t last, and indeed it didn’t, and a third round 73 left him four shots behind leader Michael Campbell. 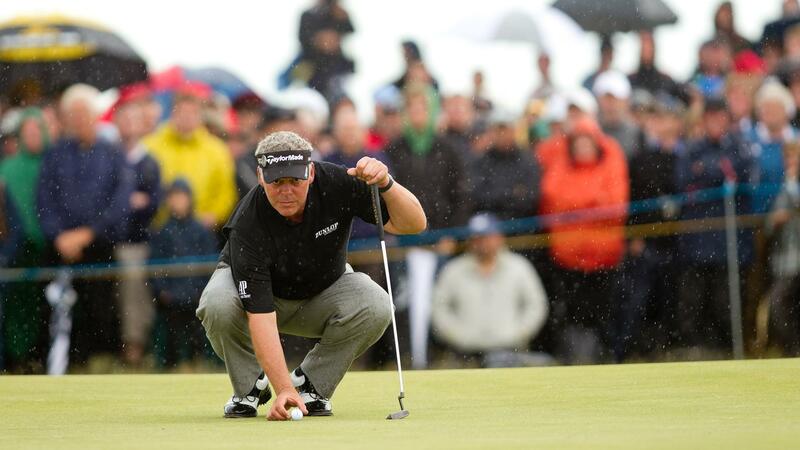 But Daly came bouncing back on Sunday, bagging three birdies on the front nine, while Campbell went into reverse. The mullet-haired American held a three-shot lead on the 16th tee, when the enormity of the situation finally began to hit home. Bogeys followed at the 16th, and at the notoriously tricky Road Hole 17th, but a par at the last saw him safely in the clubhouse in front, and looking the likely winner. Only he hadn’t factored in Costantino Rocca. Needing a birdie at the last to tie with Daly, the Italian hit a big drive, but duffed his approach, and all looked lost. But seconds later, just as Daly was about to light up a celebratory Marlboro, Rocca drained one of the longest putts ever seen in Open history, a 65-footer from the Valley of Sin, and we suddenly had ourselves a playoff. Sadly, Rocca’s luck ran out at the Road Hole in extra time, taking three shots to get out of the bunker, which handed the title to Daly, and left R&A members spluttering into their pink gins as he warmly embraced the ex-Mrs Daly on the 18th green. 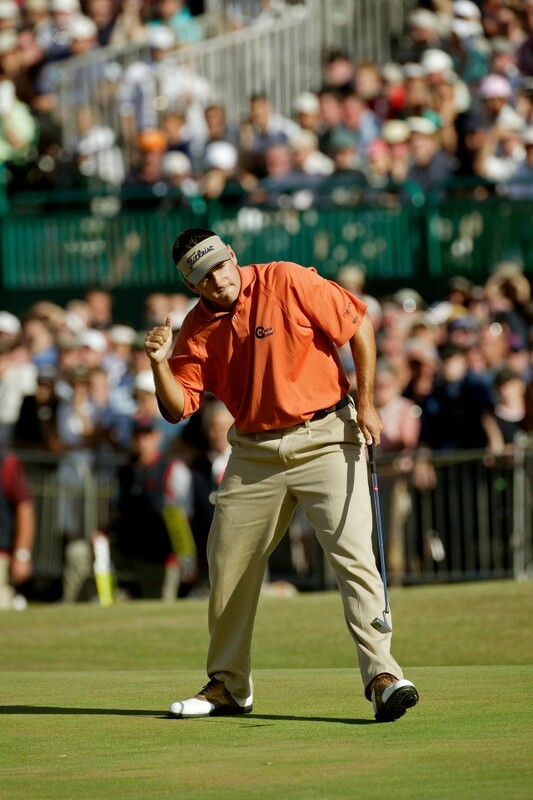 Following his magical week, JD only had one top ten in each of the next two seasons, and his only top 25 at the Open since was at St Andrews in 2005, when he finished 15th. Now, aged 51, and currently on marriage number five, the Wild Thing is back on the competition scene again, and only last month won his first ever Champions Tour event. 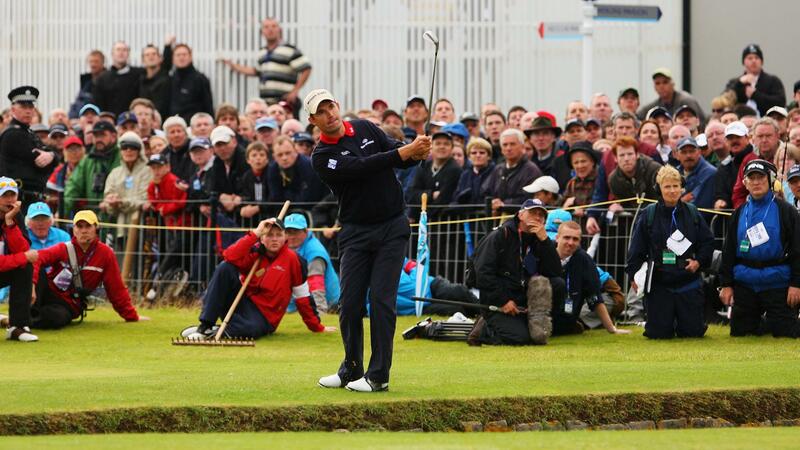 Perhaps there’s still time for one last hurrah when the Open returns to St Andrews in 2020. Scotland’s Paul Lawrie clinched the Open at Carnoustie in one of the most bizarre finishes of the championship’s history. At the climax to the final round, Frenchman Jean Van de Velde stood on the 18th tee with a three-shot lead and the Claret Jug in his grasp. But five minutes later, and following trips to the Barry Burn (where he took off his shoes and socks and thought about playing it from the water) and the grandstand, he walked off the green with a triple-bogey seven and feeling lucky to have made a playoff with Lawrie and Justin Leonard. Lawrie, who was ranked 159th in the world at the time, fired six birdies in a closing 67, coming from ten shots behind, and the 30 year old kept his nerve on the final hole in the play-off to claim a birdie and the Claret Jug. The Scot, now aged 49, has been a bit miffed ever since that it was Van de Velde that got all the headlines for throwing it away, rather than him gaining the plaudits for his impressive comeback, but hey, that’s golf. Lawrie went on to win five more tournaments, and represent Europe in the Ryder Cup in 1999, and again in 2012 at the Miracle at Medinah, but he’ll always be remembered as the major winner that profited from another player’s moment of madness. The 26 year old from Ohio had never set foot on a links course before he rocked up in Kent to play the biggest tournament of his life. His trip to the Open was only the result of a high finish at the previous week’s tournament in the States, a result he had needed more to boost his hopes of retaining his PGA Tour card than setting him on the road to golfing history. Curtis was among the first players to turn up at St George’s, getting there a week ahead of schedule to acclimatise to the conditions and play a few practice rounds. Without time to organise a caddy, a local man from Maidstone, Andy Sutton, was given the job after he put in a call to a few of the management companies to see if there was a bag going spare. There was, and Sutton soon had his work cut out teaching his new employer the ways of links golf. Making the cut with two one-over-par 72s, a Saturday 70 saw Curtis enter the final day’s play in third place, two shots behind the leader, Thomas Bjorn, while Tiger Woods, Vijay Singh and Sergio Garcia all lurked within striking distance. Curtis left the best until last, shooting 69 to take the clubhouse lead. Bjorn, meanwhile, who topped the leaderboard for much of the final round, imploded on the par-three 16th, taking three shots to get out of a greenside bunker en route to a championship-ending six, and leaving Curtis to be crowned champion in front of a stunned St George’s crowd. Now aged 40, Curtis managed top tens in the Open in 2007 and 2008, and finished second in the US PGA Championship in 2009. Sadly, he’s only made a handful of cuts on tour in the last four years, but he’ll always have St George’s. 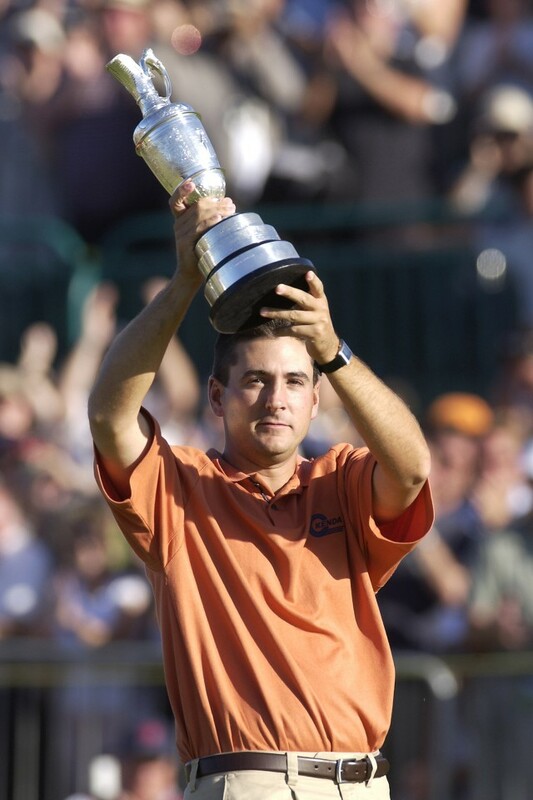 When The Open returned to Carnoustie in 2007, the question on everybody's lips wasn't who was going to win the tournament, but who was going to follow in Jean Van de Velde's footsteps and let the major slip through their grasp in the closing few holes. In truth, two players gave it their best stab at losing The Open before Padraig Harrington mercifully emerged victorious from a four-hole playoff – and everyone could finally breathe. Sergio Garcia came into the final round with a three-shot lead, but wrestled with his game throughout Sunday to enter the final stretch at eight under. Harrington, on the other hand, made four birdies and an eagle to make it to nine under par. The Irishman navigated the tricky 16th and 17th holes before disaster struck – he found the Barry Burn twice and carded a double bogey (his only blemish on an otherwise perfect scorecard) to all but end his chances of victory. It was all too reminiscent of Van de Velde's implosion eight years earlier. It came down to a ten-foot putt for par on the 18th hole: make it and Sergio Garcia was champion, miss and its into a playoff we go. The putt jumped a little to the left off the putter face but found the break to slowly turn towards the hole… but it didn't turn fast enough. The ball lipped out of the hole to extend a lifeline to Harrington. The rest, as they say, is history. Harrington's birdie on the first of the four-hole playoff was met by a bogey from Garcia – and the lead proved to be unassailable as Harrington tapped in a three-footer for par in the 18th. He won it the hard way, but Harrington became the first European winner of a major in eight years and the first Irish winner in an astonishing 60. Playing his 20th Open aged 42, Darren Clarke’s chances of winning a Major seemed behind him when he teed up at Royal St George’s in 2011. 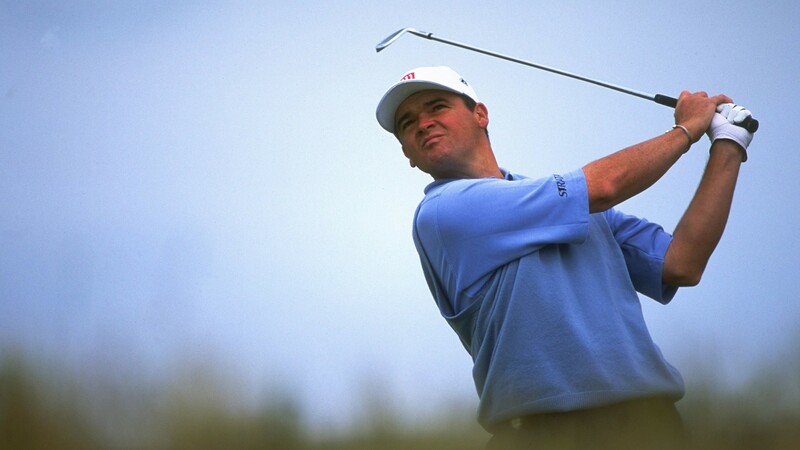 Long regarded as something of a links specialist, given his amateur days spent playing Northern Ireland’s coastal tracks, Clarke had come close to capturing the Claret Jug earlier in his career, having finished second in 1997 and third in 2001, but given his age, and inconsistent form, he was virtually unconsidered when he arrived on the Kent coast. But the Ryder Cup legend kept his nerve while all about him were losing theirs, and drew upon all his experience, and that canny hands-led swing, to tame the windswept links. After rounds of 68, 68 and 69 – which he played in the best of Saturday’s awful weather – Clarke was five under par and leading Dustin Johnson by one, with Rickie Fowler and Thomas Bjorn a further two shots in arrears. Sunday proved a much calmer day for scoring, and Phil Mickelson set about the front nine in customary fashion, charging to six under par after ten holes and threatening to run away with it. Johnson, playing with Clarke, also made a strong challenge, and was two shots off the lead on the tee of the par-five 14th. The American tried to reach the green with a two-iron from the fairway, but pushed it out of bounds to end his chances with a double-bogey seven. This gave Clarke a four-stroke cushion with four to play, and with Mickelson fading over the back nine, the man from Dungannon cruised to a three-stroke win. Clarke lived up to his hard-living image by turning up at the next day’s press conference with the R&A still inebriated after a night on the Guinness, but no-one cared, least of all the man with the Claret Jug in his grasp, who had earned a £2m bonus from sponsors Sports Direct.